Juvederm is the perfect treatment for correction of moderate to deep wrinkles and lines. 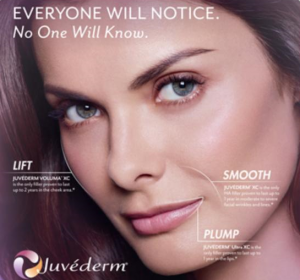 A Hyaluronic dermal filler, Juvederm is smooth and long lasting and approved by the FDA to last up to one year from treatment. 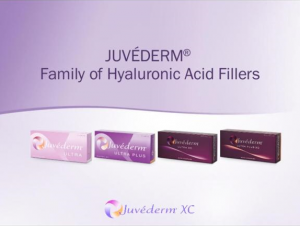 Juvederm is manufactured using the Hylacross technology, an advanced method that ensures a consistently good result every time. In comparison to other dermal fillers on the market, Juvederm is super smooth in consistency, a gel that leaves the face with natural contours. Our Juvederm treatment also contains lidocaine an effective local anaesthetic. This reduces treatment time and makes the procedure extremely comfortable.